Sioux Falls, SD – The Sioux Falls Arts Council will feature David Unzicker in its first Featured Visual Artist exhibit for 2017. Unzicker will be on display from January until the end of February. David Unzicker received his BFA in Art from Augustana in 1971. During his time at Augie, David studied under Carl Grupp and Palmer Eide. He would later attend the University of South Dakota where he had the privilege to study under Bob Aldern, Wick Knaus and John Day. Six total artists will be showcased throughout 2017. David became a structural engineer, but still had the opportunity to use the skills he learned in school to tap into his creative nature. He has gradually transitioned his themes from still life and landscapes to more abstract works. 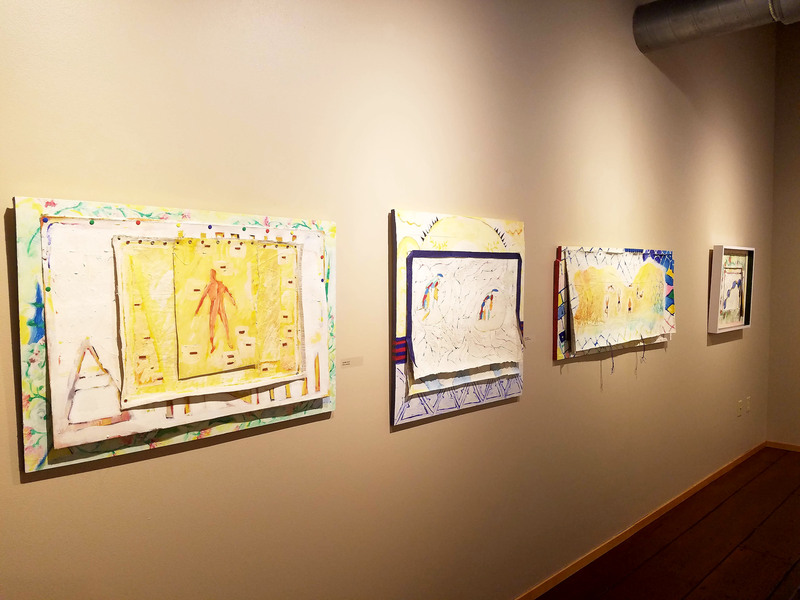 The art showcased in the Featured Artist Gallery is an example of his transition to abstract art. The Sioux Falls Arts Council, located in the Crane Centre at 8th & Railroad 326 E 8th St #106A, is open Monday-Friday 10:00 am – 3:00 pm, First Fridays 5:00 – 7:00 pm, and by appointment. Visit www.ArtsSiouxFalls.org for more information.